Like its family leadership, the Alpin Haus grew up in Montgomery County. Now the outdoor recreation retailer is growing stronger here. Founded as a ski shop in 1964, the business gradually added lines of boats, pools, spas and snowmobiles to its inventory. 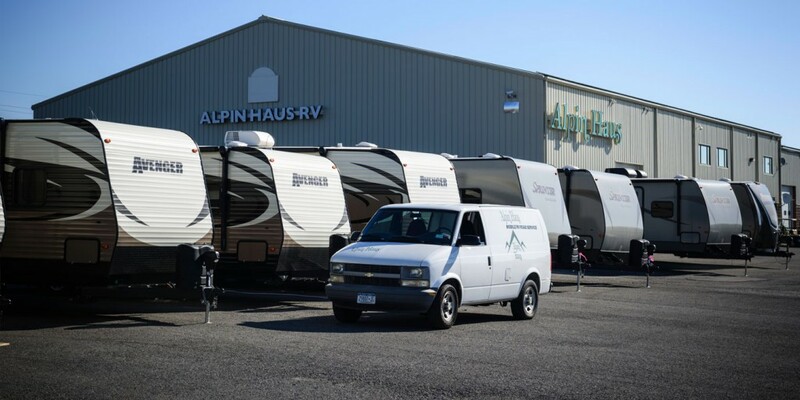 Today, Alpin Haus is one of the largest RV dealers in the country thanks in large part to a major expansion in 2003. When it came time to build a 70,000-square-foot facility to host RVs, the Heck family insisted on staying home in Montgomery County, said Alpin Haus President Andy Heck. He runs the company with his siblings and father, Amsterdam native and company co-founder Bud Heck. The 28-acre site the family began developing in 2002 sits just off of the New York State Thruway, a critical connector of the Midwest and East Coast. The prime location works both for bringing in customers as well as taking care of Alpin Haus’s business-to-business needs, Heck said. Just as important a factor, though, was the quality of the Montgomery County workforce and the life they enjoy here. Second- and third-generation employees are among the 200 who work across all five locations throughout the Capital Region, Heck said. The employees take pride in these distinctions and their environment as Alpin Haus has been named one of the Best Places to Work by the Capital District Business Review numerous times.